Product prices and availability are accurate as of 2019-04-19 17:28:01 EDT and are subject to change. Any price and availability information displayed on http://www.amazon.com/ at the time of purchase will apply to the purchase of this product. 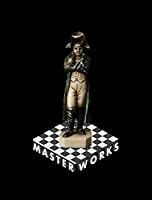 Chess is a classic and intriguing game. 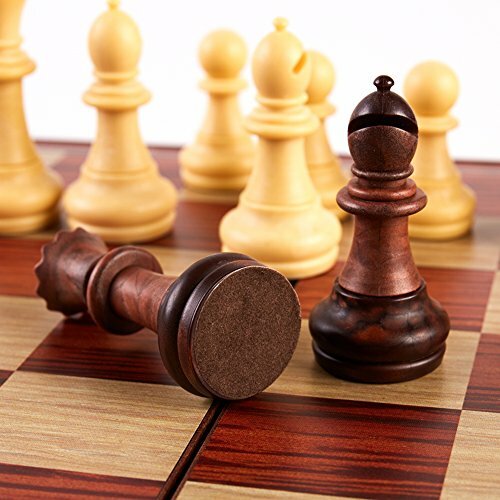 Kidami magnetic chess set will give you a fantastic game enjoyment. 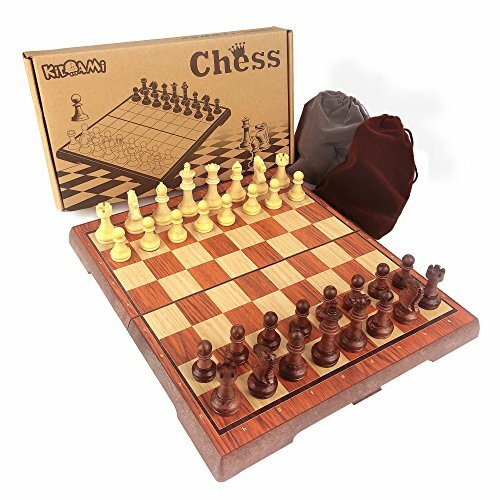 Kidami chess set is made of durable plastic with wood grain texture, which gives you deluxe visual treat and smooth hand-feel. When you notice it, you will be attracted by its pretty looking, especially its precise carving. And once you touch it, you would be surprised at its delicate making. 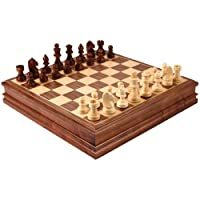 The chess board is also the box to keep pieces in. 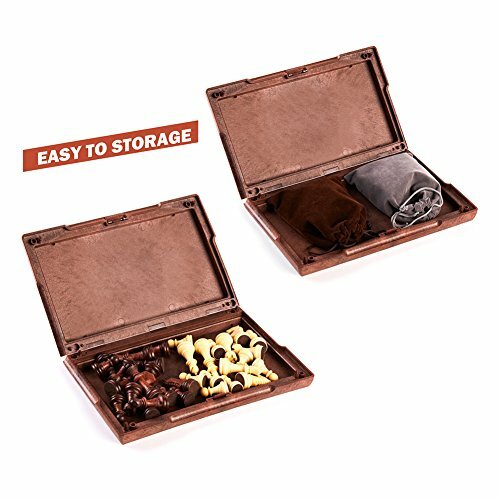 It can be folded in half when not in use, which takes less place and makes it portable to carry everywhere. There are two different cute bags to gather different pieces up, so they won't be mixed up. You don't have to sort them out, just open it, and set the game up. All pieces' magnetic felt bottom design and flat board make it stable to play even on travelling. 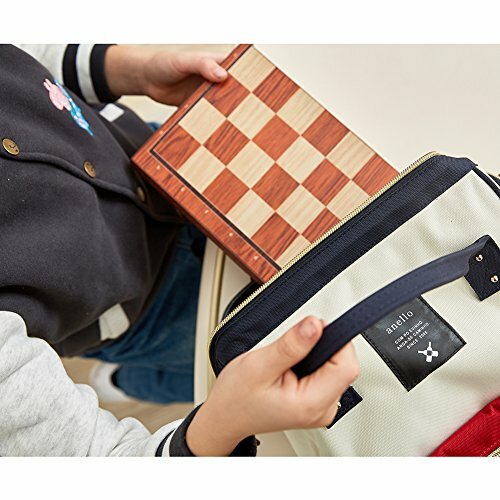 With these perfect design and accessories, you can play chess comfortably on your trip. 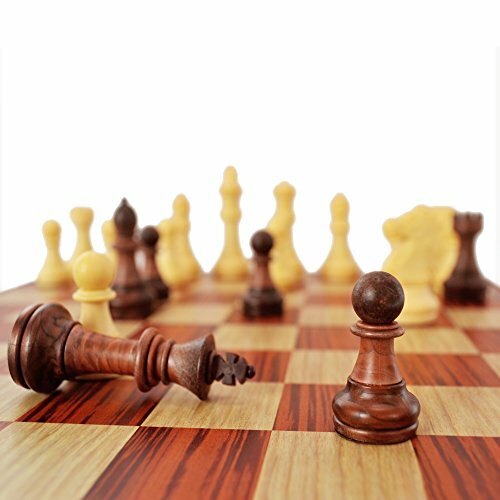 Just enjoy this mental and interesting game on Kidami magnetic chess board with your families and friends. 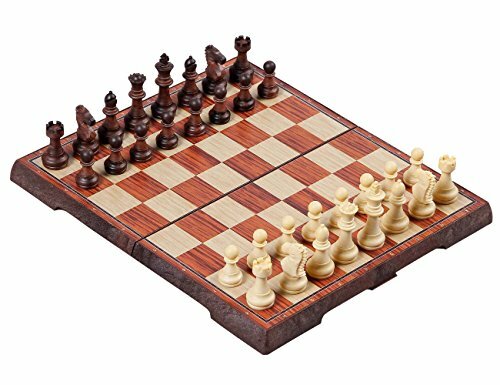 HIGH QUALITY: made of durable plastic with wood grain texture, gives you smooth hand-feel while lightweight and portable; well-crafted chess pieces make it much more deluxe; LIGHT MAGNETISM: every individual pieces have a light magnetic attraction to the 64-square playing field; light magnetism would make it stable to play while not hard to move the piece; EASY TO CARRY: come with two cute storage bags to gather the pieces and two bags can be held inside the folded chess board which has a lock, convenient for travel; PORTABLE SIZE: 12.4" x 10.6" x 0.8" (31.5 x 27 x 2.1 cm); 2.9" King Piece; 2.5" Queen Piece IMPORTANT NOTICE: The Vegeta Direct seller is the only authorized seller and we never authorize other sellers to sell our Kidami products. We received some customer complaints against other sellers for poor quality. Please be sure to purchase this product from the "Vegeta Direct" seller to avoid any problems with your product and to ensure both your safety and satisfaction. Thank you.